Week One of the LIVE RICHER Challenges was all about changing your money mindset. The tasks included setting goals and denoting your needs, wants and loves. Those were my favorite of the daily tasks that week. Tiffany “The Budgetnista” Aliche said needs = purpose. and loves = passion. Need it? > Love it? > Like it? > Want it? She makes it sound so simple, right? She prompted up to mentally list our needs. Then write down two loves and commit to them for the next six months. My loves — the things I would do if had Oprah’s bank account — travel, exercising and volunteering. Many of the women used the same list. Spending money on likes or wants, means you’ll have less money for purchases that truly improve the quality of your life. As part of committing myself to travel, I’ll complete my goal of renewing my passport. I’ll continue to exercise and volunteer to keep me physically and spiritually healthy. Things have recently ractheted up in both departments. I’m sitting here looking at three dresses on Target.com. They’re super cute. One – a flirty, mint green number – would be perfect for spring and summer. I could wear it to my cousin’s wedding over Easter weekend. The other is a simple elbow sleeve Little Black Dress. The third is a royal blue version of one of my favorite fall/winter dresses. The total cost $60.80. They’re on sale, and shipping is free. Good deal, right? I can’t deny it’s a good deal, but I can deny that they are necessities. They’re clearly wants. I already have three or four LBDs. After the financial fast, I promised not to buy any clothes until April 1. I succeeded. Now, it’s April 8, and I can’t bring myself to buy the dresses. Then I said that I would not buy clothes unless they were high quality. I think they are. I did perfectly fine wearing what was already in my closet from January to March. What is my hang-up now? Do I think the deal is so good that I have to get it? Do I think these dresses should be a reward for not shopping for three months? This week, I started looking into the movement to work with a closet of 30 or so items. I was amazed at what these folks accomplished with a clean and lean closet. 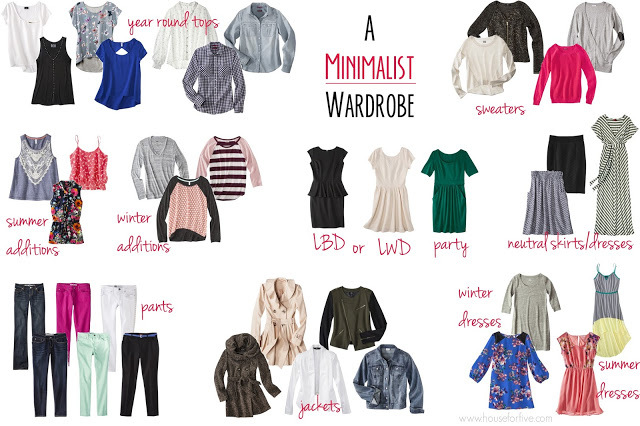 This woman’s capsule wardrobe of 33 items suited her just fine (pun intended). This woman’s minimalist wardrobe was full of fun pieces, including the Target dress I’m trying to get in blue. If anything, I need to purge my closet. Not add to it. I’ve done a lot over the first quarter to get on the right track. I’m grateful for those tiny successes – paying off a few charge cards, not using credit cards and amassing half of the $1,000 emergency fund. But I need to do more. I need to freelance more. I’m not really sticking to a budget as much as I’m tracking my expenses and not going all willy nilly with spending beyond my bills. The envelope system is looking pretty good right now. Let’s see what this second quarter brings. Saturday was a beautiful day in the neighborhood. It was so beautiful that my 30-minute walk turned into a 3-hour-and-30-minute outdoor, love fest. The temperatures hovered around 70 and the cool breeze swept over my skin to give relief from the sunlight. I sat on a park bench finishing up “The Frugalista Files”. I still have no idea why it took me so long to read this book. It’s like I’m sitting in Natalie’s shoes, just 5 or 6 years later. I guess things come to you when you’re open to them. When she was writing about going to the NABJ Convention in Chicago in 2008, I recalled my time at that very same place. I was a student, working on the convention newspaper. I wish I would have met her then. She could have warned me about the dangers of debt. Like Natalie, I knew I’d work at a newspaper for a long time and eventually win the coveted Pulitzer Prize. But I wasn’t thinking about frugality then. I was headed into my senior year of college, spending money on credit cards that I didn’t plan to pay back. I probably charged some of my convention wear to those cards. I didn’t understand credit. I just knew that I wanted what I wanted… and right then! I love Natalie’s candor about everything. More importantly, I loved seeing her mindset completely transform. It’s the same transformation I’m undergoing – not getting my hair done every month, cooking at home more, freelancing more to increase my income, and realizing that I can’t go to every party or trip with my girlfriends. One of my good friends keeps talking about taking trips to Las Vegas or Miami. But she lives with relatives, and doesn’t have any school loans or credit balances. She might be able to do it, but not I. My one big trip is to New Orleans. Decisions, decisions. But I like where I’m going now. I must stay on the frugal track. 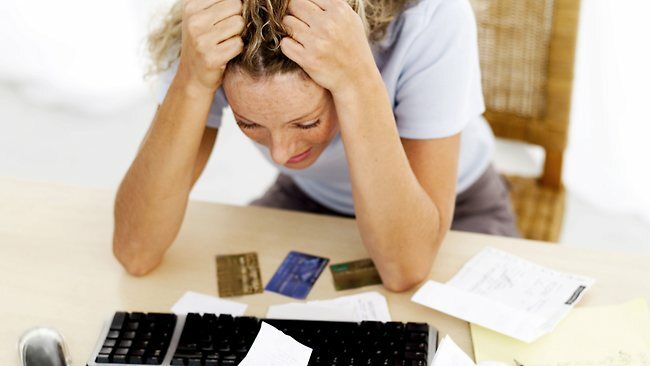 She realized that so many things are out of her control, but spending and using credit can be tamed. Amen, sista! 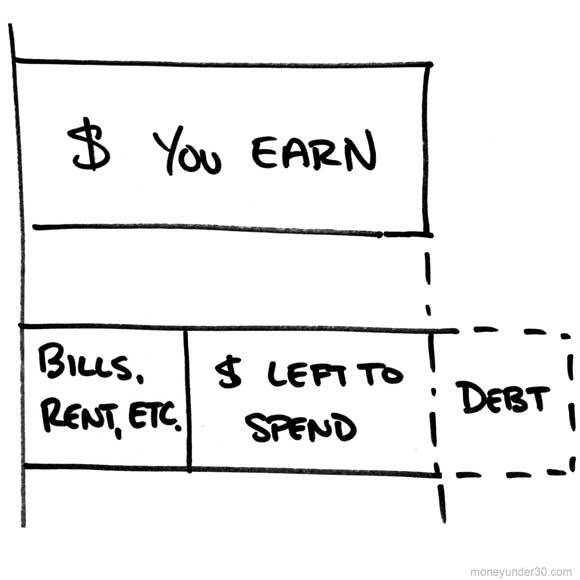 Natalie brought up Suze Orman’s advice for anyone under 35 years old: “…do whatever it takes to pursue your passion to build your career.” I was talking to my co-worker about the fact that I’m becoming obsessed with money and tracking my spending. She said maybe personal finance is the thing that wakes me up every day. It’s my morning coffee. Maybe she’s right. I hope to get out of this debt hole and be able to help other women achieve their goals. Natalie took a buyout from the Miami Herald, continued blogging and freelancing, and never looked back. She went from a “cubicle rat to a take-charge career girl,” owning The Frugalista brand. During 2008 alone, “The Frugalista” reduced her debt from $21,021.24 to $14,876.30. That’s almost $6,150 or 30 percent! By April 2010, she was debt free. Awesome! That’s just the motivation I need. I’m so glad she shared her story. We often talk about forward-thinking and planning where we want to be. But it’s just as important to see where we don’t want to be. Yesterday, I caught a glimpse of that. I attended the first of five sessions in a personal finance workshop at the local women’s center. It’s free, it’s during my lunch break and it’s another opportunity to learn and grow from a professional financial advisor, so I couldn’t pass this up. When I walked into the room, I was pleasantly surprised to see that the women holding court was young and black! The two pupils sitting at the tables were older, black ladies. SCORE! I immediately felt at ease because I know that the black, female experience with anything, especially money, is different than experiences of other groups. That’s not news. Throughout the session, we talked openly about everything. I hadn’t been able to do that with my mom. This was a pleasant surprise. The advisor, I call her Teacher, said she at one point was broke and, as a single mother, sought help from her parents too often. Teacher knows where we’re coming from and how we can climb out of a bad situation. The 55-year-old student talked about how her long-term marriage has been severely damaged by financial mismanagement. Unfortunately, her adult daughter is still asking for handouts, even for car payments. She’s at a point where she wants to take care of her money so she can live the rest of her life in peace. She’ll do it with or without her husband or daughter. The other lady, 65, I think, spent 25 years in a less-than-stellar marriage before she had the courage to drop everything, pack her car and start all over. She said she realizes that she didn’t teach her children good money management. Actually, one of her sons is doing so well that he inspired her to improve her situation and maybe become an entrepreneur. As I shared my story about wanting to plan ahead and break the cycle of poor money management, the ladies encouraged me keep at it and be a good example. Then maybe friends and family would fall into place. It’s the reverse of the 65-year-old woman’s story. Teacher told us about her mom using money set aside for the light bill envelope to pay the insurance man. She saw the bad habit of not paying bills on time and heard the phrase “I’m broke” several times growing up. When she had her child, now a teen, she decided not to say that phrase around him and to teach him about money from a young age. His mindset is of abundance, not lack. The average savings rates for Americans is less than 1 percent. For every $100 earned, less than $1 is saved. Single, white women in their prime working years (ages 36-49) have a median wealth of $42,600. The median wealth for single black women is $5. Five dollars?! See. That’s not what I want for myself. The stories of my classmates – that’s not what I want for myself and my future husband and children. I’m excited to be part of this workshop. It’s what I need right now to stay focused. Our financial advisor showed us how she’s been tracking expenses for the past few years. She accounts for everything. Our homework is to fill out the same spending plan worksheet she uses every month. Thank heavens I’ve been tracking my spending all year with the Toshl Finance app and my spreadsheets. Teacher said tracking expenses is one of the habits of highly successful people, even if Steven Covey left that out of his best-selling book. I accidentally left Your Man and Your Man at work, so I decided to jump into another personal finance book. I’m so glad I stopped by the library yesterday and picked up five more books. It’s as if I have to keep reading and exercising the savings muscle every day to keep from going off track. In between reading Michelle Singletary’s books, I read Glinda Bridgforth’s “Girl Get Your Money Straight: A Sister’s Guide to Healing Your Bank Account and Funding Your Dreams in 7 Simple Steps. Tonight’s reading: The Frugalista Files: How One Woman Got Out of Debt Without Giving up The Fabulous Life. I’ve been following Natalie on Twitter for years and read her blog. We’re part of a national organization for black journalists, so my local chapter was able to snag Natalie for our Twitter chat on personal branding. I led the chat with our members in Greensboro. It was a great to talk to an industry celebrity of sorts. We’ve been loosely connected for so long, but I’m learning so much from reading Natalie’s book. She cracks me up. After reviewing all of my expenses February last night, I needed these laughs. 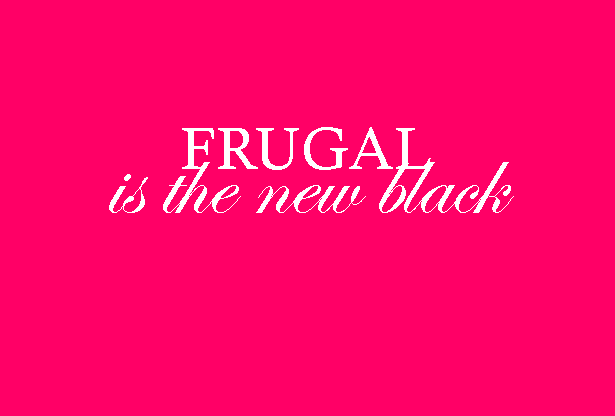 I needed to hear how another young, black lady balanced being frugal and fabulous. I am her. She is me. The parallels are endless. From the print journalism connection to the mother-daughter shopping trips to learning how to cook better to save money – it’s all right there. I’ve blazed through the first four months of her year-long journey while sitting under the dryer. I got my locs professionally styled two weeks ago and am determined to get more wear out of it. These double-strand twists are the gifts that keep on giving. I took them down from the updo and washed my hair still in the twists. I’ll keep it twisted until I take them out Saturday. I have two events to attend that day. As I’m reading, I start laughing to myself because Natalie is learning how to do her own hair, too. I feel like a pro now because I’ve been able to go two full months without seeing a styling. The hooded dryer I bought a few years ago has been a great investment. It’s weird that I picked Natalie’s book now. It was published in 2011. But stuff comes to you when you’re ready for it. I’m ready for it now.